Manhattan Park is a very old, very tiny neighborhood on one street, three blocks long. It is comprised of 31st Street between France Avenue and Inglewood, and between Highway 7 and the railroad tracks. 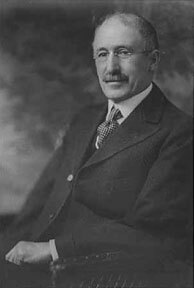 The story of Manhattan Park starts with Theodore F. Curtis. 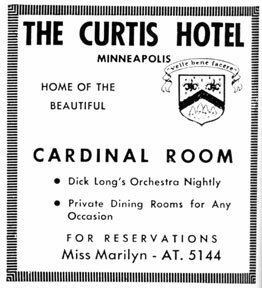 Curtis was born in Maine in 1855 but his family had moved to Minneapolis by 1857. He attended the U of M and apparently boarded at Warner’s Undertaking Rooms at 4th Street and 3rd Ave. No., now deep under I-394. His father, Theodore L. Curtis, was listed as an undertaker in 1873. By 1882 young Theodore had moved on to real estate, and on September 20, 1887, he and partner Lac Stafford platted the “Manhattan Park Minneapolis” subdivision, which straddled the St. Louis Park/Minneapolis border. By 1889 he had moved to Manhattan Park; his address was listed as Ewing Ave. and 31st Street, which was on the Minneapolis side. His house is undoubtedly long gone. Curtis’s directory listings progressed from contractor to cottage builder. An article in the Minneapolis Tribune dated July 14, 1895, reports that “important men” are buying up vacant lots and building small cottages for working men who cannot afford to keep up two story homes with 10-12 rooms. 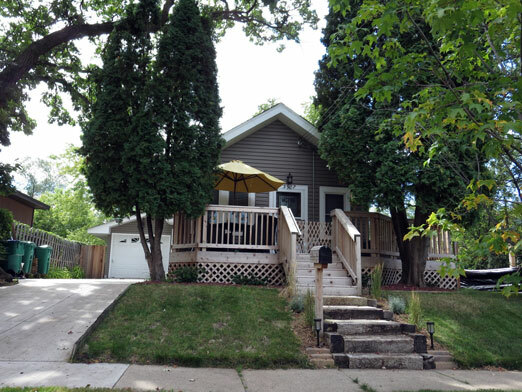 They were building smaller houses of three to five rooms on large lots that sold for only $600 each. The article reported that give homes of this character had already been built in Manhattan Park. The article didn’t specifically say that Curtis was involved, but immediately followed it up with narrative of Curtis’s real estate expertise. 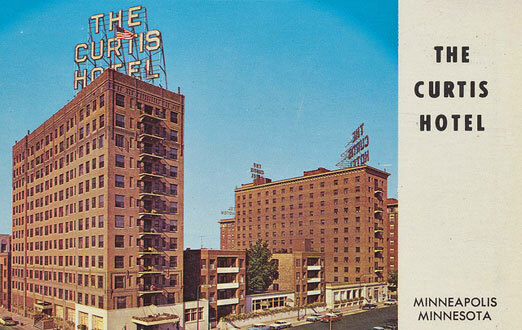 In 1903 Curtis built the first portion of what would become the mammoth Curtis Hotel in 1903. He is last seen in Minneapolis directories in 1918, and died in Los Angeles in 1924. There is a large monument to Curtis at Lakewood Cemetery. Theodore Curtis in 1917, courtesy Minnesota Historical Society. Ad above from 1954. In 1909 there was a Manhattan Park Anchors baseball team. In 1912 the T.R. McKenzie Company advertised 21 lots in Manhattan Park at $250 to $300, with $10 and $5 per month. Among the benefits were that the site was within the five cent fare district (west of France Ave. cost another nickel) and the streetcar took only 22 minutes to get to Sixth and Hennepin. The early residents were predominately Scandinavian immigrants. Their names included Anderson, Larson, Swanson, Kornberg, Peterson, Nordin, and Hull. Others were Moline, Hastie, and McKusick. Many of these people worked at the adjacent mill, while others utilized the streetcar to get to work or to go downtown. In the early days the streetcar only went as far as France Ave. and Lake Street, so perhaps this was one reason for this cluster of homes. 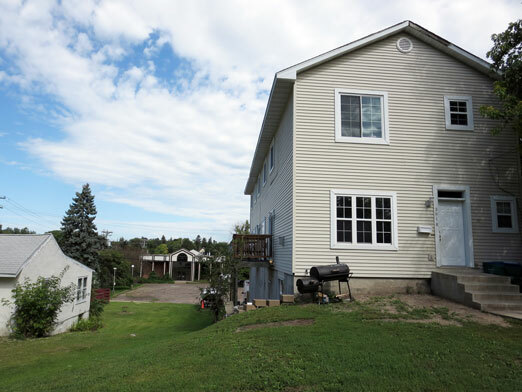 Built in the late 19th to early 20th Century, their homes were mostly two story structures, some quite large, situated on 40 to 50 foot lots which was unusual at the time considering all of the open space available. Most of the homes are gone now, replaced by apartment buildings. Many of the children of these early settlers made their homes in other parts of St. Louis Park. There is, as Bob says above, a cluster of some of St. Louis Park’s oldest homes in this concentrated area. However, as they have aged, many of them have been destroyed and replaced with small apartment buildings. The neighborhood was dominated by the Belco grain elevator, which burned down with a vengeance in 1977 and has been replaced by a three-block long apartment building. Although few of the residences are owner-occupied, residents say there is still a strong sense of community in the neighborhood. County tax records show that a large number of homes and apartments are owned by one man named Elliot Wolson. Those units are indicated below with an *. In the 1930s a few of these homes were owned by two Minneapolis teachers; read their incredible story at the end of this page. 3900 W. 31st Street. This house was built in 1926. In 1930 it was rented by Nora Daniels, who wound coils at the Heat Regulator Factory (Honeywell). She had a son, Lyndon Goldberg. Carl J. Anderson occupied the house in 1933. In 1939 it was owned by Gilberson and Easthagen (see bottom of this page), who had water installed. In 1935-40 it was rented by Howard and Constance Berg. This house was demolished in 1963 and is now an empty lot. 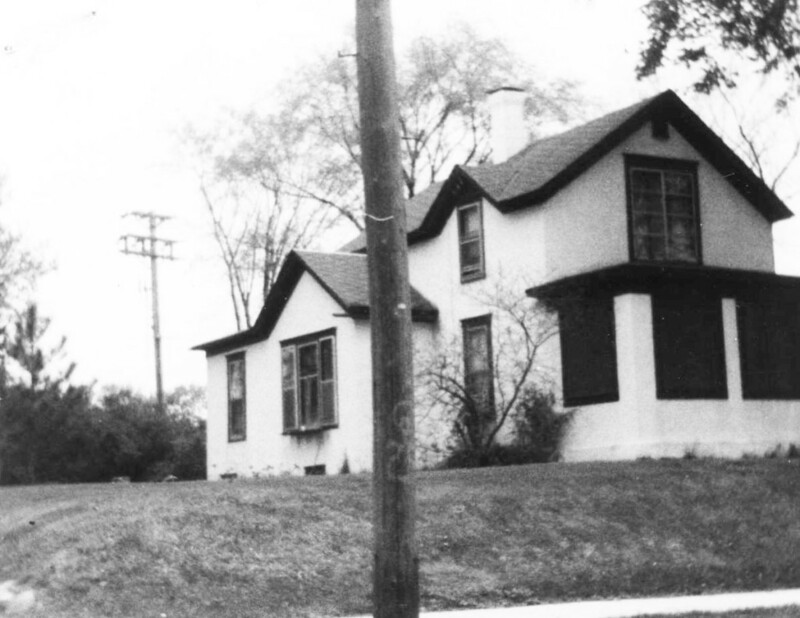 3901 W. 31st Street: In 1930 the original house was rented by Oscar C. and Ethel Anderson. Oscar was a jewelry salesman. In 1933 this was the address of F.S. Whirry, who had it connected to water that year. In 1935-40 it was the home of Rexford and Elma Cole. Rex’s occupation in 1940 is merely listed as “Chief,” and Elma is a waitress in a bar. But they had a maid. The original house was demolished in April 1980 by Carl Bolander and Sons, and a new house built in 1981 by Tony Poppelaars Construction. 3907 W. 31st Street: This house was built in 1925 and in 1932 owner Addie Libby had water connected. An addition and garage were added in 1977. 3911 W. 31st Street: John E. and Rose Brennan owned this house in 1930, according to the Census. Victor J. Engberg owned this house in 1931 when water was first connected. In 1933 this house was owned by W.A. McKusick, who may have been related to Van McKusick, foreman of the Belco Elevator. In 1976 it was apparently vacant and the city had some difficulty determining ownership to address complaints about junk in the yard. The house was eventually demolished and the property is now part of 3907. 3914 W. 31st Street: This house was built in 1926 and John A. Lindsey was listed there in 1933. In 1938-39 the owners were Gilberson and Easthagen (see bottom of this page). 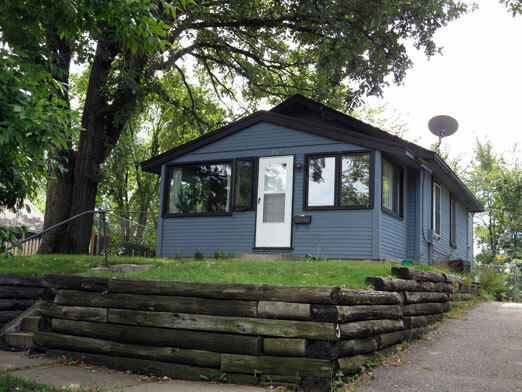 A 16 x 22′ addition was built in 1951. In 1935-40 the renters were Jack and Erma Westover. Scheduled for demolition for the Shoreham Development. 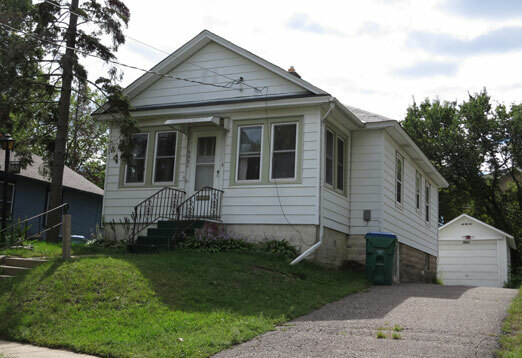 3918 W. 31st Street: In 1930 this house was rented by Elizabeth Silbaugh, her son (a garage mechanic) and daughter. This was another house owned by Gilberson and Easthagen in 1938 when water was connected (see bottom of this page). 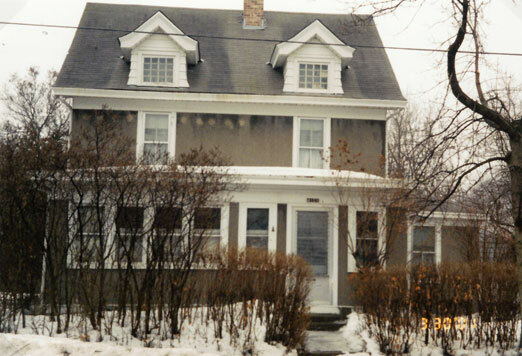 In 1935-40 the house was the home of Mervin and Else Bersie – he was a clerk at an oil company. 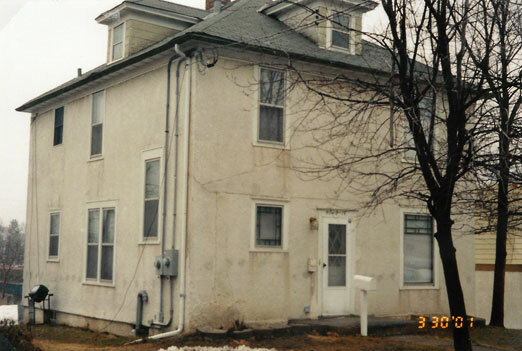 Harry C. Bergstrom lived in the duplex from 1954 until he died in 1974. The building was demolished in late 1974 by Herbst and Sons. The current triplex was built in 2001 – prefab construction reportedly went up in a matter of days. Scheduled for demolition for the Shoreham Development. 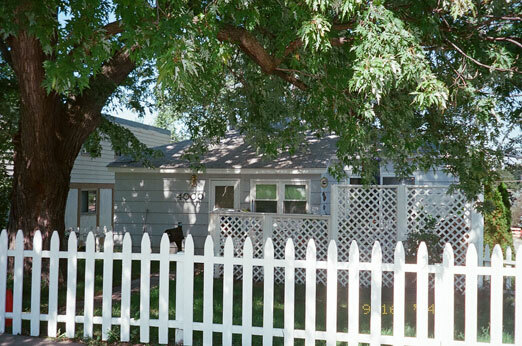 3921 W. 31st Street*: This house built in 1925 and seemed to have changed hands quite often. The 1930 Census lists Larry J. and Esther Kersman as the owners; he was a truck driver for an oil company. In 1932 Charles M. Drew had the water connected, in 1933 it was owned by Roy Fairbairn, and in 1935-40 by Ruben and Edith Jacobsen. Ruben was an auto mechanic. 3925 W. 31st Street*: This was a house; in 1930 Amy C. Massolt had the water connected. In 1940 this was the home of Jacob and Rose Malek. Jacob was a tailor. 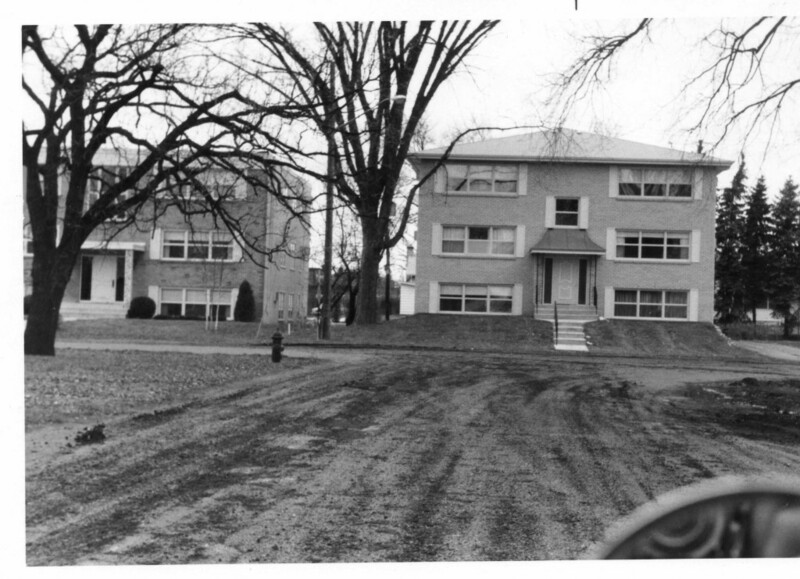 In 1967 the house was replaced with a 10-unit apartment complex built by McNulty Construction. 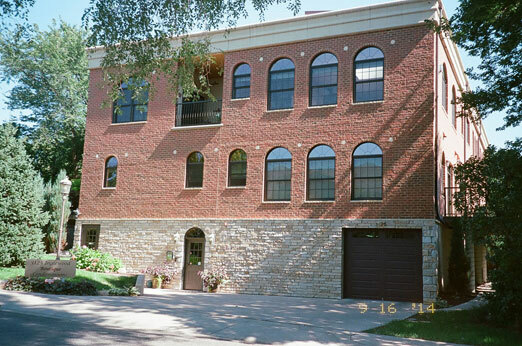 It was built at the same time as and looks similar to the apartments at 4020 and 4001 W. 31st Street. On September 3, 1993, a fire started when a tenant set the heat lamp from his lizard cage on the couch while he cleaned the cage. The couch started to smoke and the man thought he put it out, then left for work. The couch caught fire and smoke enveloped the entire building. 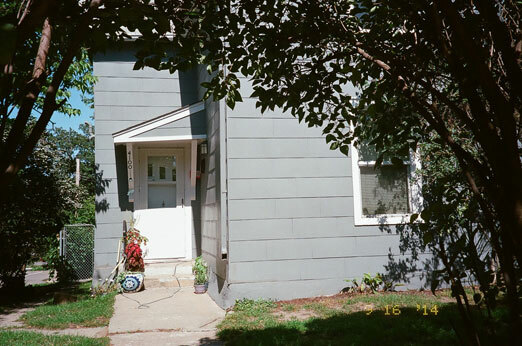 3927 W. 31st Street: The 1930 Census shows that this house was rented by Oscar E and Amelia S. Erickson and their son Enoch W. Oscar was a laborer at the grain elevator. In 1933, when water was connected, this house was owned by Union Elevator, still rented by the Ericksons. In 1940 and the 1950s the house was owned by James R. and Martha Henderson. James was a grain weigher. The house was wrecked in October 1967 by Pearson Excavating and the site is now part of the apartments at 3925 W. 31st. 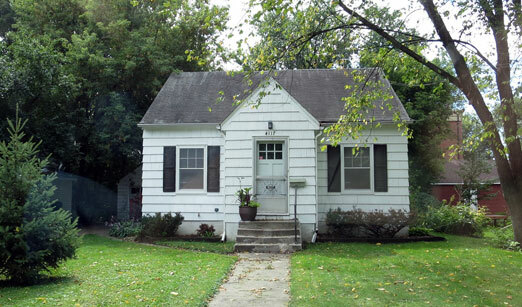 4000 W. 31st Street: This house was built in 1951, perhaps by Joseph J. Hayes, who owned the property in 1948. 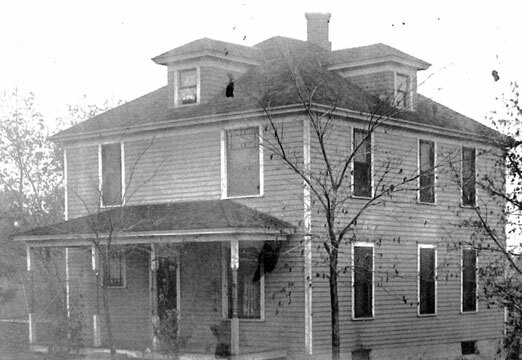 4001 W. 31st Street*: William J. Bishop owned this property on June 2, 1896. This was a house owned by Frank and Clara M. DePaul, who had the water connected in 1930. Frank was born in New York of French parents and worked at a dry cleaner in 1930-1940. There were other owners until the house was demolished in June 1967 by Pearson Excavating. 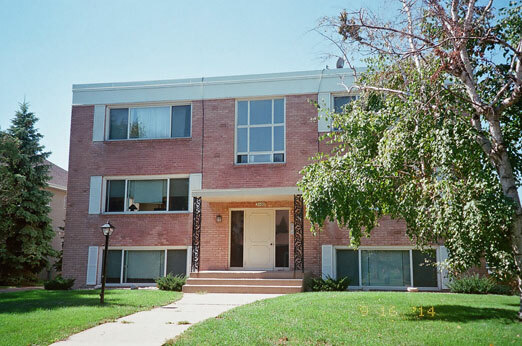 The current apartments were built in 1967, at the same time as (and similar in appearance to) 3925 and 4020 W. 31st Street. 4004 W. 31st Street: Former address of 4012 W. 31st Street (see below); changed in 1953. 4008 W. 31st Street: This was the address of Robert and William Ford prior to 1922. 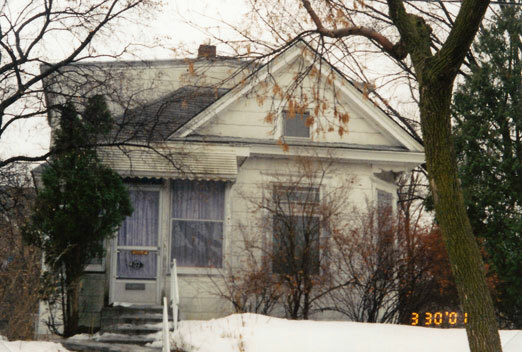 4009 W. 31st Street*: This was the home of Carl B. and Clara B. (Signe) Olson and their two daughters from at least 1930 to 1940. Carl was a grain sampler for the state warehouse commission. There was also an A. DePaul listed in 1933 (see 4001). The current apartments were built in 1961. 4012 W. 31st Street: House built in 1907* This home was originally 4004 W. 31st Street – the address changed in 1953. In 1920 the Census showed the owners to be Thor G and Minnie Larson, their five sons and three daughters. Thor was a building contractor and lather. In 1933 it was owned by Thor (also seen as Ture and Thure) and sons Harold G. and Herbert T. By 1940 Thure was a widower – he lived here until at least 1952. By 2001 the porch had been removed. 4013 W. 31st Street: This was a house built in 1898 that belonged to the Albin and Gertrude Swanson family from at least 1930 to 1989. Albin was an electrician and in 1930 there were five daughters and one son. Daughter Sonia Swanson lived there for decades. The house was demolished in 2012 and is being replaced by the Calhoun Hill Townhouses. 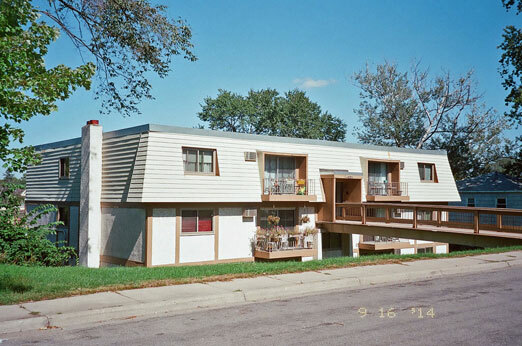 4020 W. 31st Street*: These apartments were built in 1966 by McNulty Construction Co., and are substantially the same as those at 3925 and 4001 W. 31st Street. 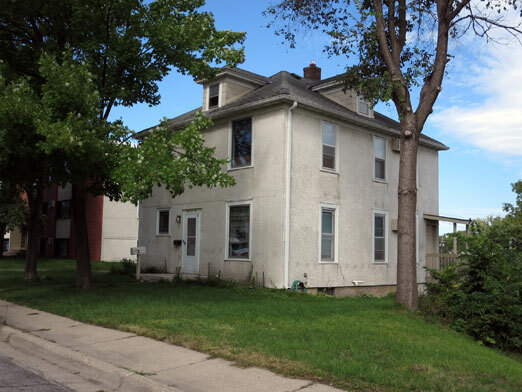 4024 W. 31st Street: In 1920 this house was owned by siblings Anna Louise (clerk in a bake shop), Emily (bank clerk), Esther, and Axel (grain elevator laborer) Beckstrom. It was probably the family home, as the Tribune noted that there was a Louretta E. Beckstrom who died in December 1917. By 1930 Esther had married Edward O. Kornberg, an agricultural machinery traveling salesman, and they became the owners. In 1940 Edward was an insurance salesman. Esther’s sisters Emily and Louise continued to live there until at least 1952. The house was replaced by the apartments at 4020 (above). 4100 W. 31st Street: House built in 1919* Tax records show the property belonged to Augusta Berg on March 24, 1897 and she had a six room house in April 1903. The property was sold to John A. Erickson on April 29, 1904. Mrs. Emilie (Amelia) Mason and her children Rose and Herman lived here from at least 1930 (and 1931 when city water was connected) to 1940. Rose was born in about 1900 and in about 1982 she went to live at Park Nursing Home. In 1982 Burnet Realty wanted to tear down the house and build an apartment building. The house still stands, although it is difficult to see as it is almost entirely surrounded by greenery. 4101 W. 31st Street: This house was built in 1903 and the Kardell family bought it from the Curtis family. Minnie Kardell is shown as the owner in 1913. The 1920 Census lists Fred Kardell (an agricultural implement laborer), wife Clara, and daughter Minnie E., a stenographer. Joseph R. Kardell is listed in the 1930 Census (laborer in a greenhouse) and the 1933 directory. The last of the Kardells was Claire, who lived in the house her entire life and died there as well. This was probably an instance where a house had been in a family for decades but the last owner could not keep it up. Claire’s brother Jack came from his home in Alaska and sold the house in June 2006. 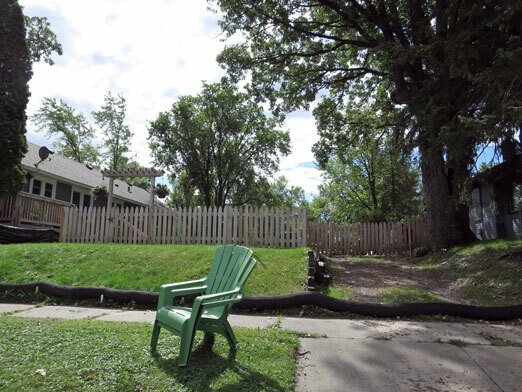 Emery Art Development LLC (Merlin Brown) purchased the house in 2006 and the City Council approved a nine-unit condominium project for the site in 2008, but the plans were put on hold. The house was demolished the house in 2010, and with the upturn in the housing market the owner is proposing a 13-unit complex for the site. 4104 W. 31st Street: In 1920 this was the home of John I. Melin (engineer), wife Hannah, and daughter Mabel (a stenographer). In 1930 only Mrs. Hanna Melin is listed but in 1935-40 her daughter Mabel is back. In 1935-40 the Census indicates that Hannah rented part of the house to Barney Dieringer and his three daughters. Barney was a member of the Volunteer Fire Department from 1916 to 1940. In 1957 Hanna was in a nursing home, the house was abandoned, and the water pipes froze. In 1960 a squatter was living in the house, and neighbors complained of its condition. The address may have been changed to 4108. House was demolished. 4105 W. 31st Street: This house was built in 1903. 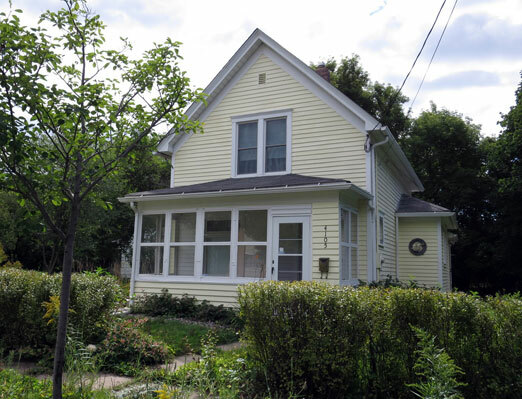 The Tribune indicates that Fred Kardell owned property at this address on July 6, 1893. In 1930 Joseph (Creosote factory) and wife Agnes Miske rented this house. The 1933 directory lists two occupants: Earl W. Gordan, and John O. Johnson, the latter being the former caretaker of the nearby Pest House. Water was connected in 1938. In 1940 the occupants were Orville and Grace Lorenz (he was a railroad switchman). The Livingston family lived there for 30 years. 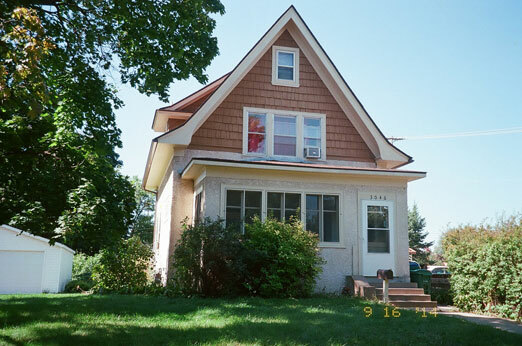 4112 W. 31st Street: This two-story house was built in 1891 and belonged to Robert E. Anderson, who came to the U.S. from Sweden in 1863 at the age of 16 and drove a mule team streetcar through the streets of Minneapolis. In 1920 Anderson was listed in the Census as a millwright in a flour mill, and lived here with his wife Anna, three sons and two daughters. Anderson owned the house in 1930 when water was connected. By 1958 it was owned by Arthur and Julia Nelson, and by 1965 it was divided into four units. On February 14, 1965, smoking led to a fire and the house was torn down in April. 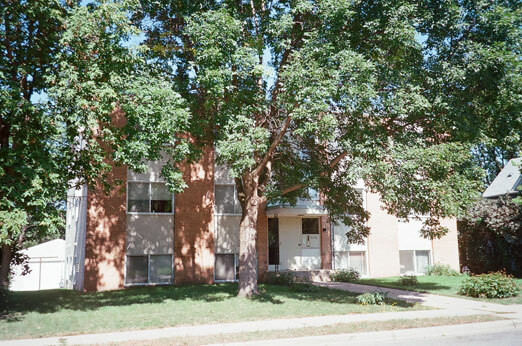 The site became part of the apartments at 3043 Inglewood in 1967. 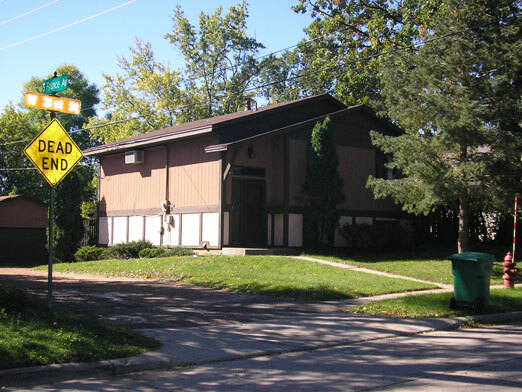 4018 W. 31st Street: In 1920 this was the address of Robert T. and Marion (Lillie) Anderson. Robert was a machinist in a valve and piston manufacturer. They were still there in 1930. 4116 W. 31st Street: This is a little confusing because it appears that in 1961, 4116 was divided into 12 addresses from 4112 to 4134. 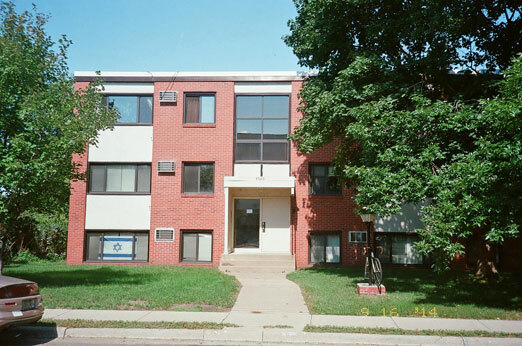 Previous address of the apartment complex at 3043 Inglewood, built in 1967. Owner preferred an Inglewood address. 4117 W. 31st Street: House built in 1941 by Horace Allerton. 4120 W. 31st Street: In 1920 this duplex was owned by Andrew M. Peterson, who was a laborer for an agricultural implement manufacturer. In 1930 Ernest Jaax and his family rented the first floor and Peterson lived on the second floor. In 1933 Axel Johnson rented the first floor. Peterson’s name was on the permit to have water hooked up in 1938 and was still the owner in 1940 (caretaker, private club house). His tenants were John and Gerta Hull – John was a private caretaker. In 1956 the Twin City Baby Attendant Service was advertised in the St. Louis Park phone book. By June 1966 the building was vacant and on June 9 an electrical fire started on the second floor, rekindling later in the day. That year owner Mark Z. Jones had the house and garage demolished and the site, with 4112 W. 31st Street, became apartments at 3043 Inglewood. 4125 W. 31st Street: House built in 1925. When water was connected in 1942 the home was owned by Harry Hilary. It has gone through several owners. 3031 Glenhurst: House built in 1926. In 1930, when water was hooked up, this house was owned by George A. Jeffrey and rented by William Gregory, who owned a grocery store. In 1935-40 it was owned by Opal Benike, her daughter and son. It went through several owners, including the Belco grain elevator in 1950. In about 1953 it was purchased by the Klumpner family. Scheduled for demolition for the Shoreham Development. 3120 Glenhurst: Original address of the Belco Elevator #1 and #2. 3020 Inglewood: In 1920 William L. Hooper (contractor to improve state land) and his wife Frieda lived here according to the Census. In 1930 Hooper was an independent ice man. The house is gone; now the Highway 7 service road. 3024 Inglewood: John M. Bacon rented here in 1930 according to the Census. House is gone; now the Highway 7 service road. 3040 Inglewood: House built in 1913 by Van A. McKusick, who was the weighmaster of the Belco Elevator. Van and wife Clara (Edna?) had water connected in 1937. By 1940 Van was a widower. The home changed hands several times starting in 1967. 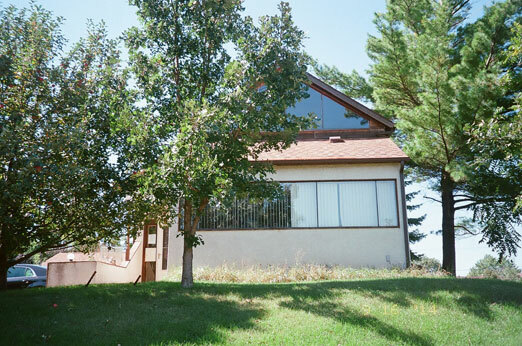 Owner Lucille M. Noer sold the building to architect James G. Thompson taking in 1985. By this time the city had deemed it a hazardous building and was pressuring Thompson to follow through with plans to transform it from a single family house into a two story office building per plans starting in 1976. Thompson made the transformation in 1986 and the frame building is now covered with stucco. 3043 Inglewood: This property apparently belonged to Andrew Jensen on June 24, 1893, Karl Jensen on August 18, 1895, and then Erick Anderson on March 5, 1905, according to tax reports in the Tribune. 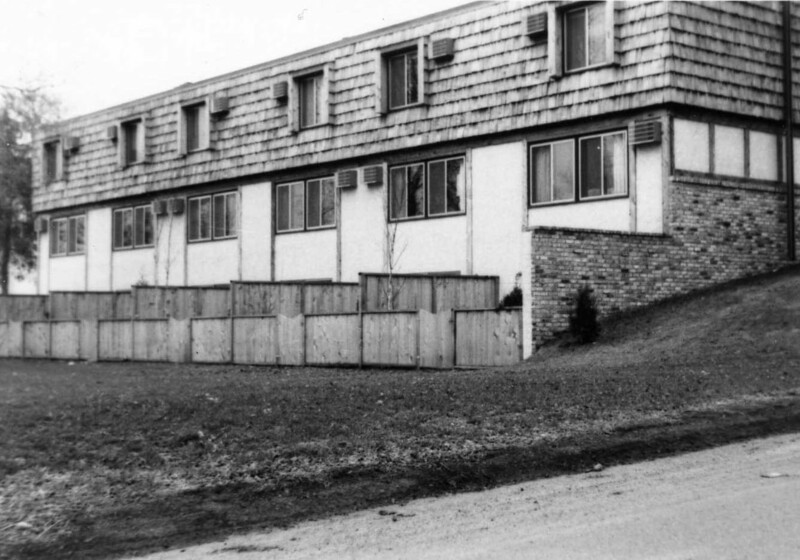 In 1967 the Villa Capri Apartments were built on this site by Mark Z. Jones. 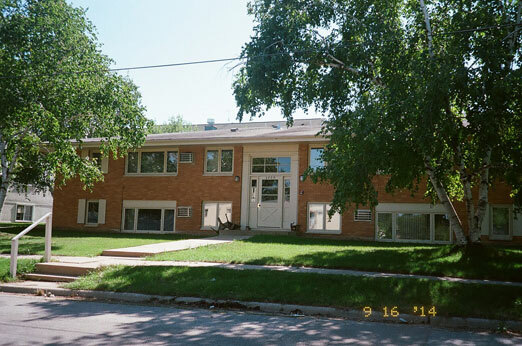 This complex on the corner of 31st and Inglewood replaced several houses, including 4112, 4120, and 4124 W. 31st Street. 3046 Inglewood: House built in 1913* In 1920 this was the home of Axel and wife Gerda Nordin, their two sons and two daughters. Axel was a machinist at an agricultural implement manufacturer. In 1930 and 1940 Axel was and ice and coal man. Gerda Nordin was the owner in 1942 when water was connected. In 1964 Gerda was working as a maid at the nearby Lakeland Motel. In 1974 there was a cooking fire that burned through the floor in the kitchen. Gerda died in the home on August 9, 1983. 3050 Inglewood*: From at least 1930 until at least 1945 this was the home of Albert E. Hastie, a bookkeeper at the grain elevator, and his wife Bernice. Water was connected in 1933. The home was apparently made into a duplex by 1935. In 1965 the owner is listed as the Aldrich Avenue Presbyterian Church. The house was purchased by Irve J. Robbins, who had it torn down in October 1968. 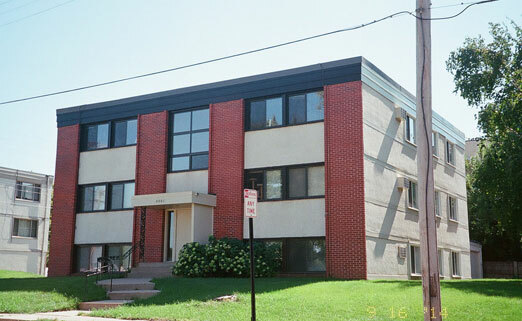 Birchwood Builders built the Inglewood Manor Apartments in 1968. The photo below from December 1969 shows 31st Street barely paved. 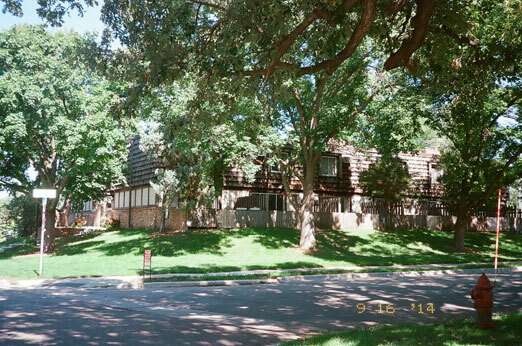 3100 Inglewood*: Apartments built in 1963 by Builtwell Construction Co., owned by Sam and Esther Hoffman. 3106 Inglewood: This may have been the site of the Manhattan Park School (see below). Date of the original house is unknown, but water was likely connected in 1937. In 1946 Mary Peterson lived here and got in trouble for building a chicken house without a permit. Charles Kinser owned the house in 1965. In October 1972 Reinhard Bros. owned the house and it demolished. 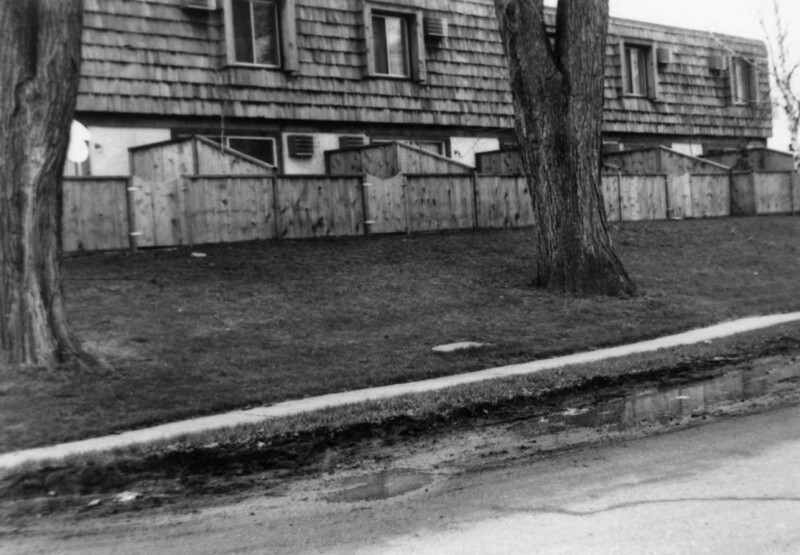 Permit records show that Harold Posnick proposed to build two 4-unit townhouses on the site in 1979, and in 1988 there was a request to build a 10 unit apartment building. 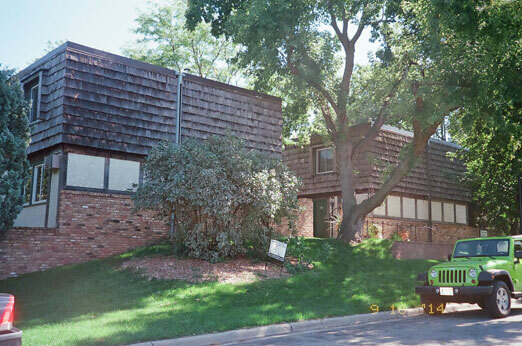 But tax records show that the current 8-unit townhome complex was built in 1995 by Ken Isaacson. 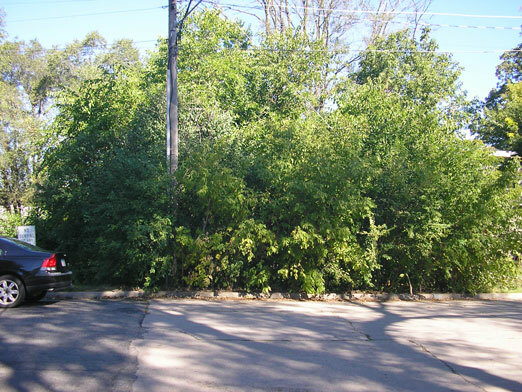 3110 Inglewood: This may have been the site of the Manhattan Park School (see below). 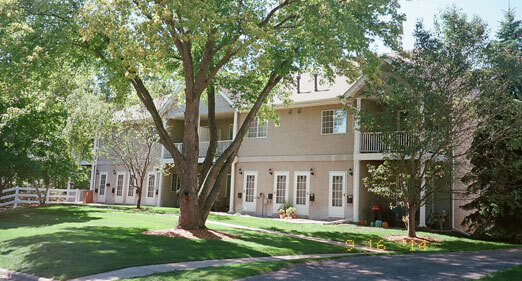 This property and the house at 3106 became the current 8-unit townhome complex built in 1995. 3125 Inglewood: An obituary of Gunner E. Kornberg said that he moved to his home at this address in 1897. He worked as night watchman at the grain elevators just south of his home for many years. He was also a gardener, caring for shrubs and trees. He is listed here, along with Russell Gay, in 1933. In 1940 it was the home of Fred and Alma Makowski – Fred worked at the Creosote Plant. Gunnar Kornberg is also listed here in the 1940 Census. In 1945 it was the home of Truman and Myrt Hedwall. By 1946 the Hedwalls had moved. At some point this house was demolished and in its place stands the three-story Inglewood Avenue Boutique Condominiums built in 2007. 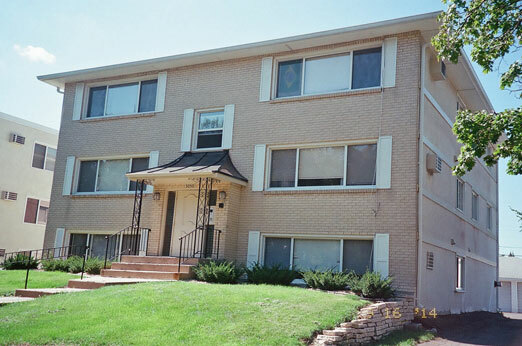 3200 Inglewood: This is a huge apartment complex called Inglewood Trails. It is three blocks long, built on the site of the former Belco grain elevator, directly adjacent to the bike trail and the railroad tracks. It was built in 1999. Back in the earliest days of the Park, the residents of Manhattan Park felt that the two existing elementary schools, Pratt and Lincoln, were too far away for their children to walk to. 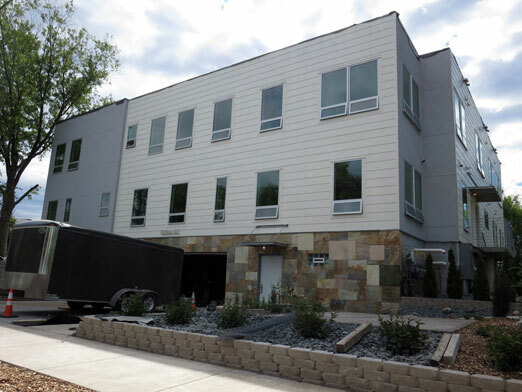 When the streetcar company refused a petition for free rides to school for the kids, the people of this neighborhood offered to erect a building 16′ x 22′ x 12′ high if the School Board would furnish fuel, furniture and a teacher. [variously, the school may have been built by Theodore Curtis.] It was a square, red brick building with one classroom that was heated by a stove. The School Board came through in 1895 with a teacher, one of the first being Bertha Bates. This early school held five grades in one room. Howard Kornberg, who lived at 3125 Inglewood, remembered the area as wild country cattle were pastured between Cedar Lake and Lake Calhoun and a bicycle path ran along what is now Lake Street and the north side of Lake Calhoun. He and his sisters went to grade school in the one room building across the street. He said that the building was also used as a neighborhood Sunday school. They later attended Lincoln School, walking two miles along the railroad tracks. The school was reportedly phased out when Fern Hill School was built in 1905, but mention was still made of it in 1908. In 1944 Minnie, age 60, had a debilitating muscle atrophy condition (possibly multiple sclerosis), and had to quit her job. Her best friend Nellie, age 57, had taken a leave of absence and was the main caretaker to Minnie, who was confined to a wheelchair. 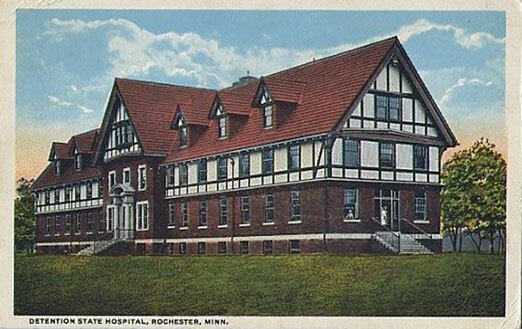 In October 1944 they had gone down to Rochester, Minnesota, for treatment at the Mayo Clinic. They made a return trip in November, arriving around midnight on November 17. Witnesses heard them quarrelling (unclear about what), and on the night of November 21 they got into a physical fight in their shared hotel room. Nellie testified later that she just “went blank” and when she came to her senses, Minnie was dead. Nellie laid Minnie on her bed, crossed her arms across her chest, pulled the bedclothes up to her neck. Nellie then went to her physician and told him what happened. The doctor called in a psychiatrist to hear the story, then called the hotel in Rochester. There, indeed, the hotel detective found a dead woman in the room. There was evidence that an effort was made to clean up some of the blood from the bedclothes. On November 22 Nellie was fetched back to Rochester by detective Albert Kos. He testified that during the trip she said “My dear friend is gone. If she were here, she would know I wouldn’t do anything to harm her.” She kept repeating “I’m afraid, I’m afraid,” and the closest reason she gave to being afraid was “Minnie wanted me to go to the clinic.” According to Kos, she also said “If I did do it, I was insane,” and “Well, if I did know anything about it, it wasn’t me sitting here,” pointing to herself. She was held without bond pending further investigation. On Thursday, November 23, 1944, the Minneapolis Tribune‘s front page featured a page-wide banner headline: TEACHER ADMITS SLAYING FRIEND, displacing Hitler and war news. 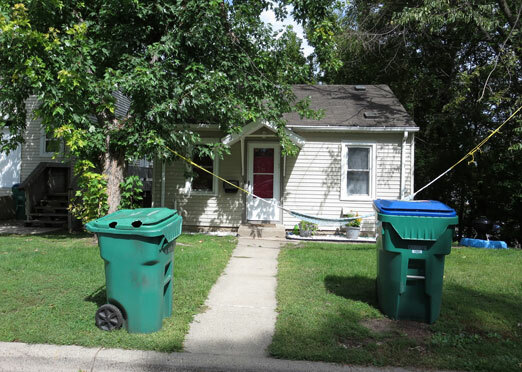 Calling it “one of the most dramatic climaxes to a criminal case investigation in Minnesota history,” reporter Max M. Swartz had a field day reporting on the crime. Back in Rochester, police interrogated Nellie for 12 hours, but she refused to crack. Then they took her to the Vines Funeral Chapel that doubled as the county morgue, and showed Minnie’s dead body to Nellie. Rochester Mayor Paul Grassle was there for some reason, and urged Nellie to “cleanse her soul” and admit she had killed Minnie. Nellie broke down, crying “Why did I do it? I know I did it, but I didn’t do it knowingly.” She faced the Mayor and said “Minnie was an angel.” Police Chief A.M. Nelson testified that “She called her ‘sweetheart’ several times and said: ‘Forgive me for the wrongs I did you. '” Nelson asked Nellie if killing Minnie was one of the wrongs, but she didn’t answer. Nellie’s lawyers would come to characterize this as “ruthless police methods.” A former FBI man now working for the Mayo Clinic was brought in to investigate the case, and several pieces of evidence were sent to FBI Headquarters in Washington, DC. Meanwhile, Minnie’s funeral was held on November 27 at Lakewood Chapel in Minneapolis. Her survivors included her brother Albert, “a civilian in the Philippines who is believed to be a prisoner of the Japs;” nephew Albert I. Easthagen of New York City; and nephew John H.E. Easthagen of Beverly Hills, California. After the coroner’s inquest came the grand jury, which listened to many of the same witnesses and several others, including their neighbor, Mrs. Clara Jones, who lived at 4208 Branson Ave. After deliberating for one hour and 38 minutes, the grand jury charged Nellie with first degree murder, which shocked her attorneys. To their consternation, while they were trying to negotiate bail, Nellie blurted out “I would like to enter a plea of guilty.” After a moment of stunned silence, Attorney Hughes said “No, you can’t do that.” The attorneys immediately asked for a sanity hearing, which the judge approved. The judge refused to fix bail, however. The search was on for Minnie’s will, which was eventually found in a cupboard in her house in Morningside. It was found by Arthur T. Nelson, special administrator of her Estate; Neil Hughes, Nellie’s lawyer; and Minnie’s nephews Albert I and John H.E. Easthagen. There were also some savings bonds, war bonds, and a hidden cache of $500 in gold pieces. Minnie and Nellie had both written their wills on August 19, 1933, each naming the other as beneficiary. Minnie had also left small amounts to her relatives. Together Minnie and Nellie owned several pieces of property, including the Manhattan Park homes, a 1940 car, and $1,300 in a joint bank account. Minnie’s estate that Nellie would have inherited came to $30,000, but by law Nellie could not benefit financially from the murder. Before she could be tried when court convened in January, a sanity board made up of probate judge Bunn T. Willson and two neurologists from the Mayo Clinic judged Nellie to be insane. Nellie was heard to say “I’ve lost my reason” and “My mind is gone.” The ruling did not eliminate the charge of murder but suspended it for as long as Nellie remained in her present condition. Judge Gates committed her to the Rochester state hospital for the insane. Nellie apparently died in 1962 according to a probate notice filed in Ivanhoe, Minnesota that September 14.